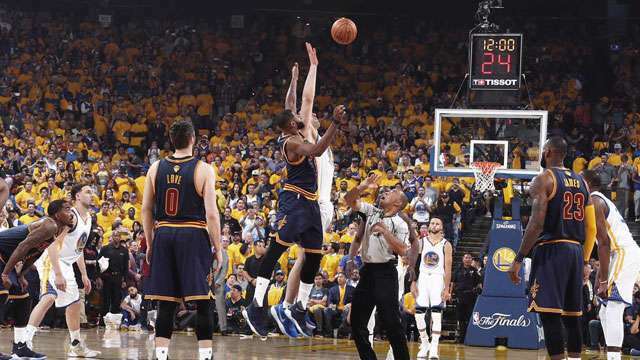 The Golden State Warriors successfully defended their homecourt, behind solid outings from Kevin Durant (33 points, 13 rebounds, 6 assists) and Stephen Curry, to take a commanding 2-0 lead against the Cleveland Cavaliers in the 2017 NBA Finals. Unlike Game 1, LeBron James got more help (Kevin Love's 27 pts and 7 reb), but the Dubs were just too much for the Cavs, especially with Klay Thompson finally breaking out (22 pts, 4-7 3p, 7 reb) and making life hard for Kyrie Irving (19 pts, 8-23 fg). The victory exposed numbers that not only mirrors Golden State's full control of the series, but also the factors that Cleveland needs to work on. In the lone area where they were expected to dominate their rivals, the Cavaliers get beaten to a pulp, 53 to 41. Love's offensive explosion came at the expense of his work on the glass, while Tristan Thompson could only muster a total of 8 boards in the first two games. 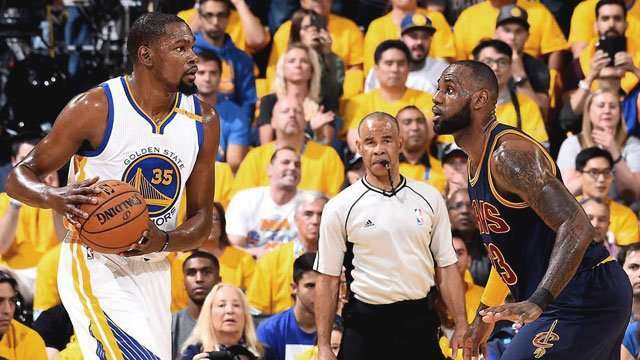 Cleveland's starting frontcourt has to assert itself if they wish to have a chance against the Warriors. There were many knocks in Steph's game tonight (4-11 3p, 7-17 fg, 8 to), but for winners, only good things matter. He came up big with his first career NBA Finals triple-double (32 pts, 11 ast, 10 rebs), and a perfect clip from the charity stripe. The Cavs must not let the two-time MVP get too comfortable, which is what has been happening so far. A look at his historic line—29 pts, 11 reb, 14 ast—tells us that James isn't really the problem here. The King just tied Magic Johnson for most triple-doubles in the Promised Land with probably one of his most efficient performances in the Playoffs, yet still was overshadowed by Golden State's overall brilliance. His teammates need to step up and don't let those numbers go to waste. Are we witnessing KD, who also led his team in steals (3), bloom into a two-way player? If yes, then this spells doom for an already overmatched Cavaliers squad. Entering the series, the former MVP was viewed as the difference-maker for being too good and, unmistakably, too long. Coach Tyronn Lue should find a way to contain all 7'0"—with shoes—of him. One thing that brought the Cavs to where they are right now is their proficiency from beyond the arc. Kyle Korver, Channing Frye, and especially JR Smith have yet to catch fire, which renders their slashers (LeBron, Kyrie) useless. Cleveland's snipers must find their mark heading back home to prevent themselves from falling into an insurmountable 3-0 hole.